Dentistry is that branch of medical science which relates to the study, diagnosis, treatment and prevention of disorders or diseases of the oral cavity, teeth and maxillofacial region of the body. General dentistry or general dentists form a first line of defense in fighting oral health problems. Although general dentist do not have advanced knowledge that a post graduate in any of the dental discipline might be having. But they are continuing their learning process through seminars regularly taking place on modern dental developments and through medical journals and periodicals which clearly explains the latest developments. Only those dentists who keep their skills and knowledge up to date can practice as consultants in dentistry and become successful in their profession. The general dentistry primarily focuses on dental hygiene plan for a patient which includes dental examination, tooth cleaning and use of diagnostic tools like X-ray or other diagnostic equipments. He may also plan and develop comprehensive treatment programs for preventing tooth decay, or disease of mouth or gum. General dentistry also includes restorative procedures to repair the effects or trauma, decay of tooth and other defects or diseases in the areas of mouth. Tooth may be damaged due to tooth decay or wear or due to cavities formed as a result of poor dental hygiene. These cavities are filled with one of the filling materials like gold, porcelain, composite resin etc. Each filling material has got its own merits and demerits. Your dentist will advice you which material is suitable for your requirement and selects the material with your approval. Binding is the term used for the process of restoring the shape of a chipped or cracked tooth with the help of composite resins. In this procedure enamel like substance is applied to the surface of the damaged teeth and it is sculpted and polished to match to the contour of the tooth. Orthodontics is a functional procedure which has the added advantage of improving the esthetics also. Misalignments of tooth are corrected and they are properly positioned using braces and retainers. This is becoming very popular procedure in dentistry and is the most important activity of general dentistry. The infected pulp tissues inside the route chamber of the tooth are removed in this process. After hollowing out the teeth the hollow area of the teeth is filled with an anti bacterial filling agent and the teeth is capped with a crown for protection. Though this is a procedure done by endodontists who are specialists in root canal surgery, general dentists also do this procedure. Extensively damaged or destroyed teeth are repaired with the help of dental crowns. Dental crowns are usually made of gold, silver or porcelain. CAD/CAM technology is also made use of for fabricating dental crowns. General dentists also perform these procedures even though prosthodontists and cosmetic dentists have more specialized knowledge in this field. Dental bridges are artificial replacements for missing teeth. The prosthesis is held in place by anchoring them to the surrounding teeth. This is a very common procedure carried out by general dentists. 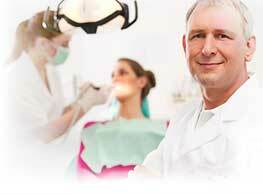 The availability of latest technology, material end expertise may vary from dentist to dentist. Dentures are used for replacing the missing teeth which cannot be repaired through other methods. The availability of latest technology, material and expertise may vary from dentist to dentist. Treatment of abnormalities of jaw, mouth, teeth and other structures in the mouth comes under maxillofacial procedures. Dental implants and major surgeries like cleft palate etc also come under this category. Except for the major surgeries and dental implants all other procedures are commonly conducted by general dentists. Laser beams can be made use of during a bonding procedure or to remove tooth decay, or for tooth whitening and some kinds of sleep apnea. General dentist are also capable of doing laser procedures.